Join us for a 10th anniversary celebration that is sure to surprise, delight and thrill audiences old and new. 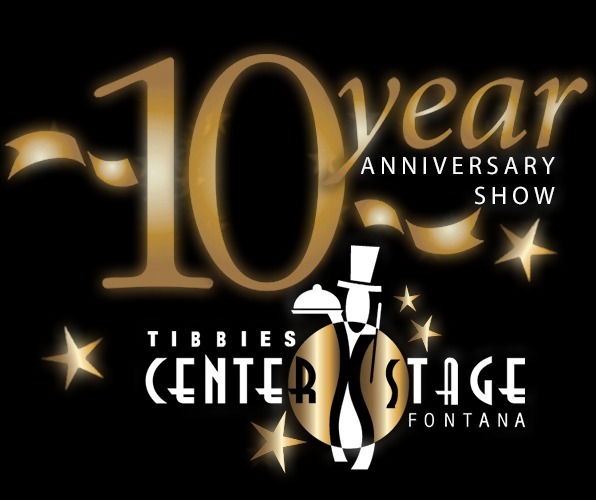 Since opening its doors in 2008, Center Stage Fontana has had nearly 1000 public performances featuring over 25 Broadway Musicals, 20 original TIBBIES song and dance review shows, Celebrity Concerts, Murder Mystery, Comedy, and Magic performances and more! On this very special weekend we will re-live some of our favorite Center Stage moments of the past featuring a cast of over 30 entertainers. a live band, comedy, magic and a special gourmet dinner.